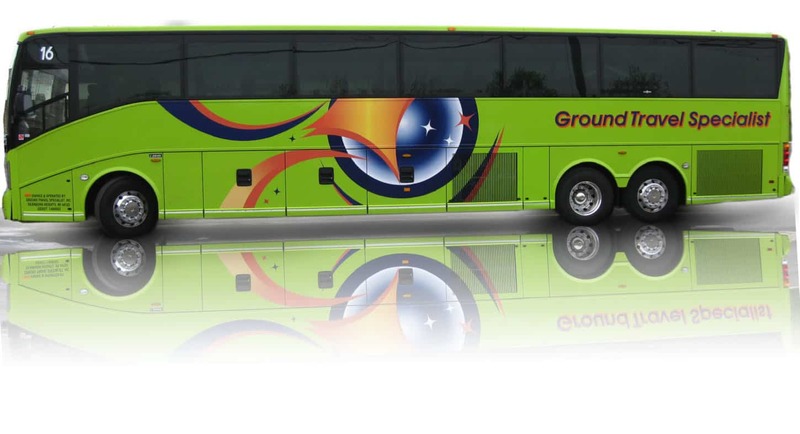 Charter a bus for your occassion with Ground Travel Specialist! What to look for when choosing a charter. Safety, quality and compliance with federal regulations are three very important factors to consider when you choose a carrier. Ensure an operator meets all of your criteria before making your selection. A Quality Motorcoach Operator is one that is reliable, professional, offers outstanding customer service, meets all your needs and is affordable. It is easy to select the cheapest option, however this is not necessarily the best option. Always understand the company’s policies on payment and cancellation before you charter a coach or book an escorted tour. Motorcoach companies must have federal operating authority if they cross any state or provincial lines, and should be able to offer you proof of that authority, which is issued by the U.S. Department of Transportation (DOT) or Transport Canada. Additionally, many states and provinces require that a carrier obtain operating authority for interstate operations. Ask for the carrier’s U.S. DOT number. Carriers are required to have a U.S. DOT number clearly displayed, and should be either 5 or 6 digit long. By using that number you can view the carrier’s safety information on-line. All U.S. drivers are required to have a valid, current Commercial Driver’s License (CDL), with a “passenger” endorsement printed on the license itself.